1. It takes it off of your mind, and puts it onto paper. Now you have one list, and can tackle items one at a time. 2. Maybe it isn’t the volume of items, but rather the same 10-12 outstanding items that continue to bother you. So, as strange as it may seem, the same items that you’re concerned about may not seem so overwhelming once they are written down. The list may be much smaller than it seems. Writing it down also provides you with a visual plan. 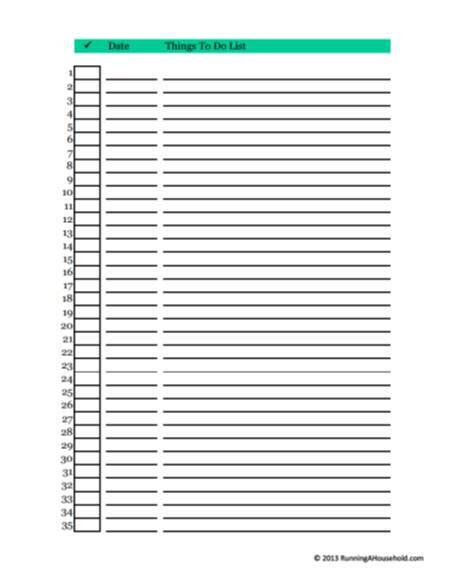 Just print it out, and start writing down all of your outstanding items. It may be helpful to print more than one copy to group like items together. 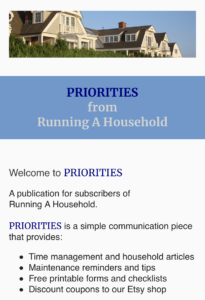 For example, one list for household chores to complete, another for errands to run, and a third one for calls to make. Another idea is to print one To Do List for each day of the week. Write down what you would like to complete today. Make another list for tomorrow, and so forth. Sometimes breaking it down by day can be helpful. That way you know which day you plan to work on it. If something doesn’t get done, plan to tackle outstanding items early the next day, or move the item to another day. Start with the task that needs to be finished soonest. Start with a few easy tasks, so you can start checking off completed items, and whittle away that list. Prioritize your top 5 Things to Do. Once those are done, select your next 5 items. 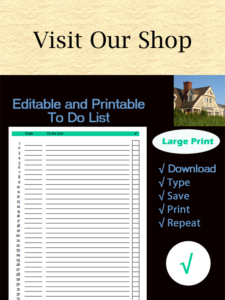 This entry was posted in Time Management and tagged feeling overwhelmed to much to do, free printable to do list, large print to-do list, overwhelmed with things to do, printable to do list on December 18, 2013 by Running A Household.